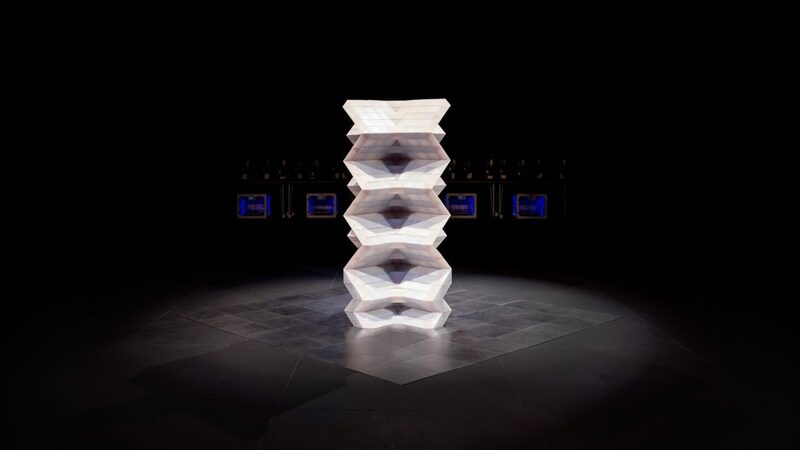 Marching Cubes is an interactive installation that permits direct physical engagement with the Marching Cubes algorithm—a language that defines our virtual environments—and generates dialogue about the ways in which information technologies can create the building blocks of contemporary culture. 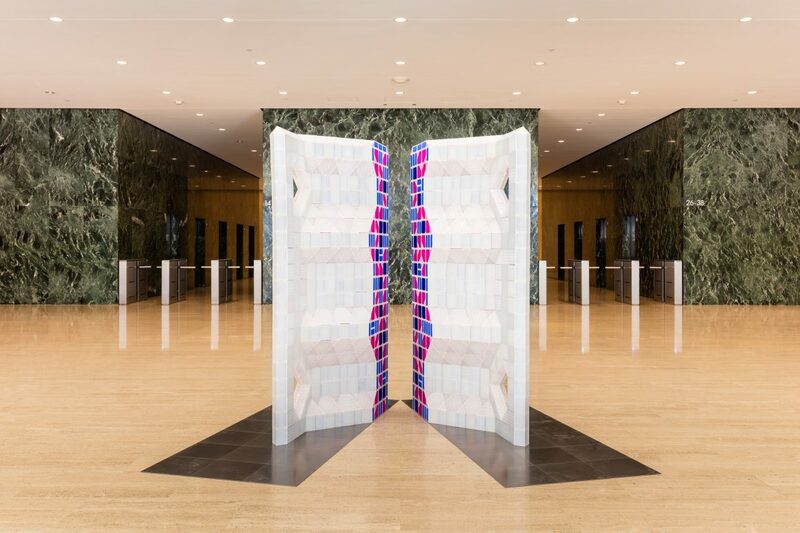 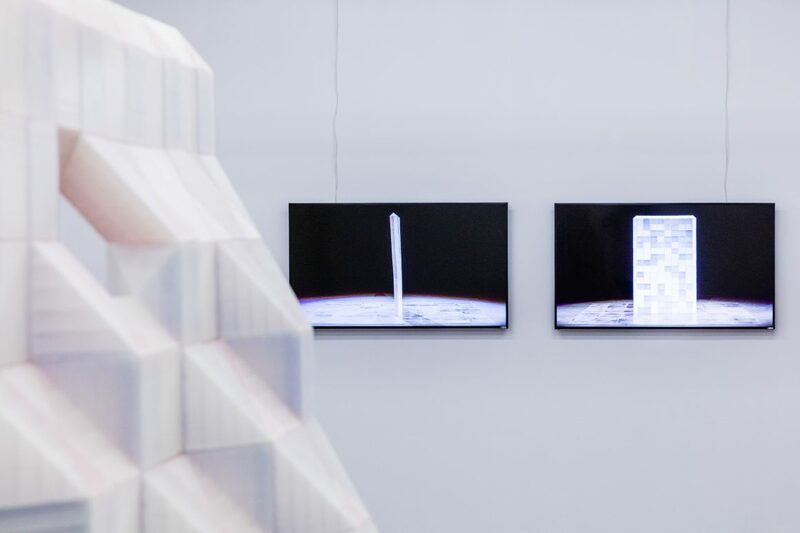 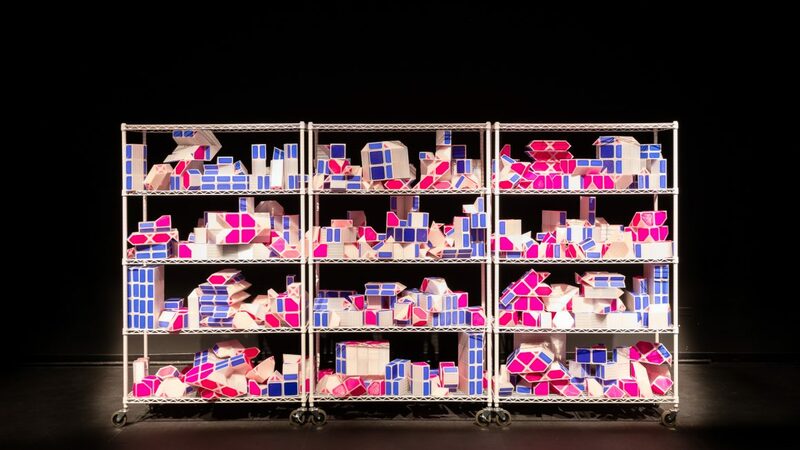 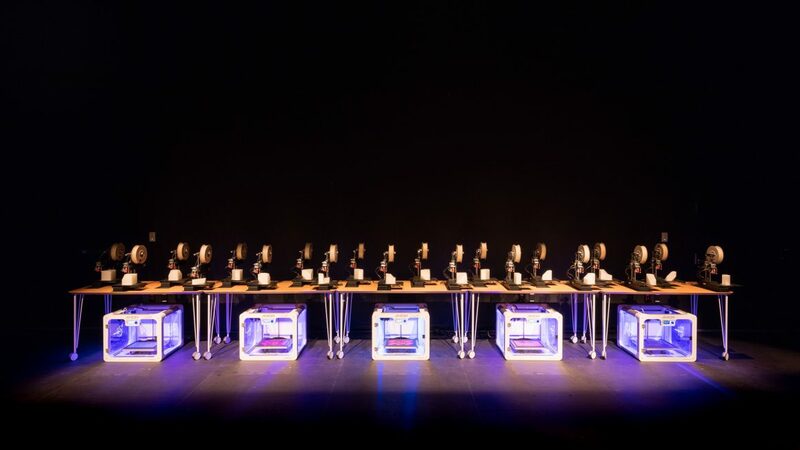 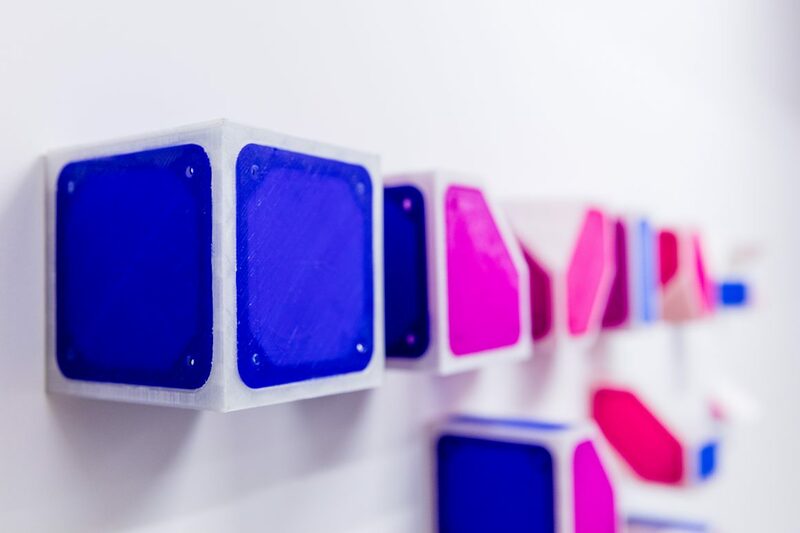 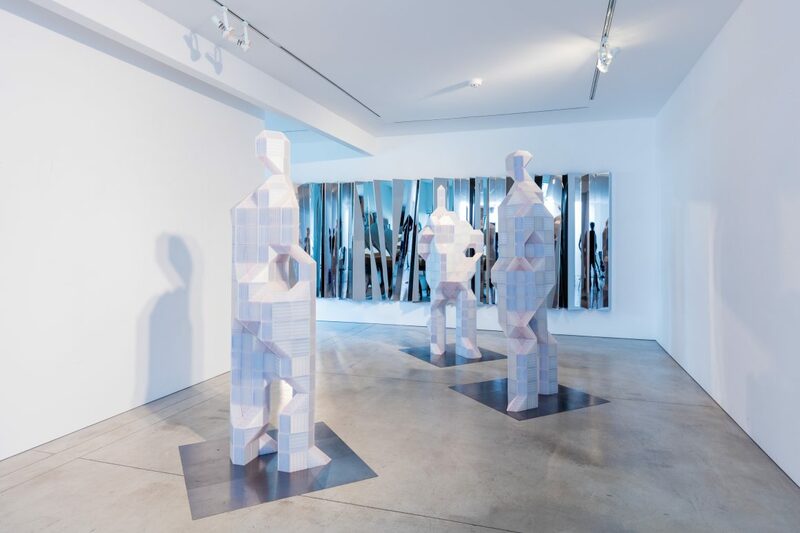 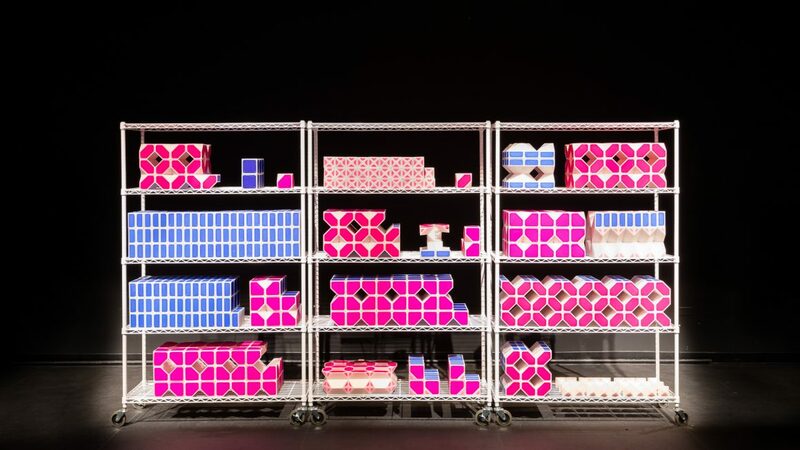 The installation is comprised of 3D printed construction units that permit participants to, through playful interaction enabled by media technology, directly experience the algorithm, the virtual language it represents, and the cultural residue it leaves behind. 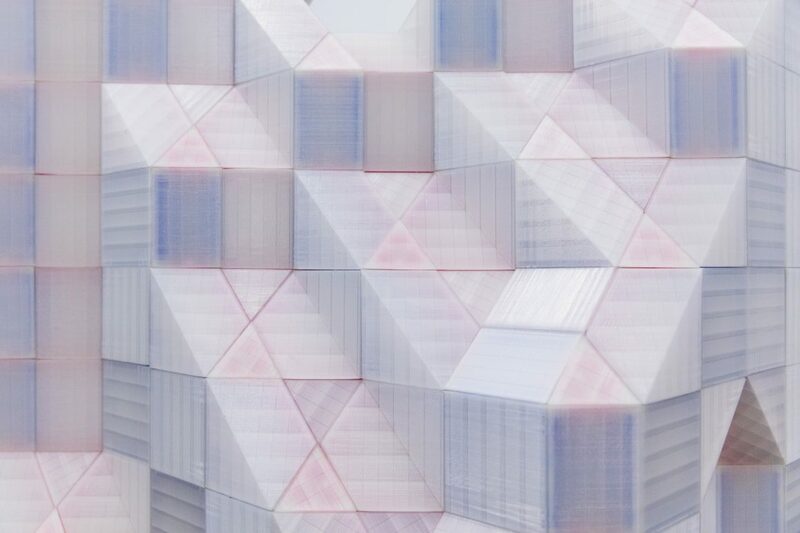 This project emerges from two previous explorations of experimental unit-based construction systems, Automatic and Automatic/Revisited. 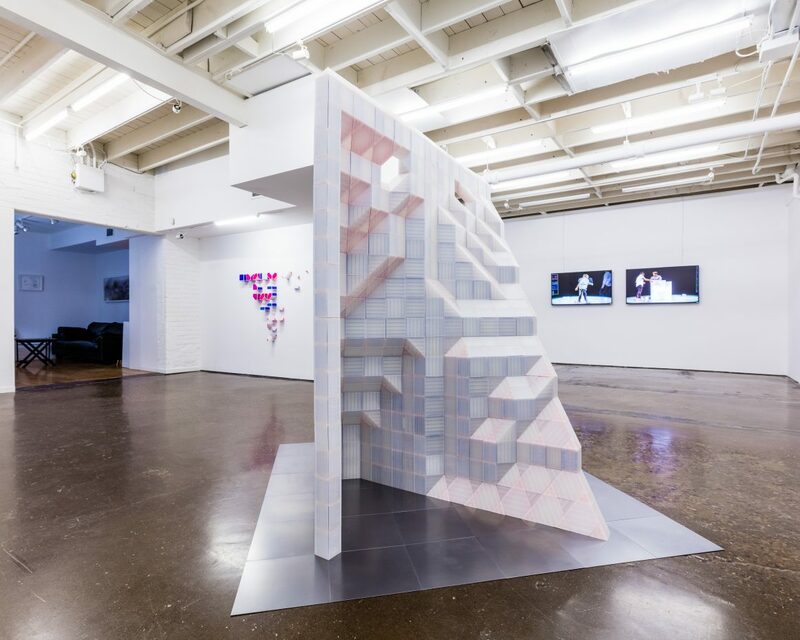 Marching Cubes Assembly #18 (After Bunshaft), Arts Brookfield Grace Building, January 17 – March 10, 2017.